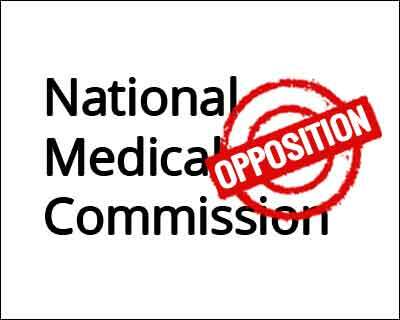 NEW DELHI: Scores of medical students and resident doctors of several hospitals across the country are set to observe a token strike on Monday over some of their demands regarding the National Medical Commission Bill not being accepted by the government. The stir called by the Indian Medical Association (IMA) would be held for two hours from 12 noon to 2 pm. Healthcare services at multiple hospitals are likely to be affected briefly. In Delhi, resident and junior doctors and medical students will hold a peaceful protest in front of the All India Institute of Medical Science (AIIMS). Besides, protests will be held across India and a large number of doctors and medical students are set to hold rallies in many districts. The Bill still remains “anti-poor, anti-federal, anti-democratic and lacks national character”, the IMA has alleged. The Bill does not address the issues of DNB (Diplomat of National Board) and practical difficulties with common medical entrance test NEET and foreign graduates. The Cabinet has apparently agreed to four of the 10 demands put up by the IMA in connection with the Bill, the association said in a statement. Removing the clause for separate exit examination and to have a common final year MBBS examination, amendment to drop the provision of bridge course for AYUSH doctors and subsequent registration to practice modern medicine and introduction of a new punitive clause for quacks and unqualified persons for practising modern medicine were welcomed by the IMA. “Although, the Cabinet-approved draft of NMC Bill has marginally increased the state representation and control of the government over 50% of the fee levied, IMA feels that these are cosmetic in nature and the Bill still remains anti-poor, anti-federal, non representative and undemocratic,” said Secretary General of IMA R N Tandon. When new systemic changes comes such opposition is bound to happen…. people get used to the old of governance…. in this case its specifically IMA who will feeling like so called neglected…. but IMA as a institute should be more forward looking and should accept such systemic changes than to oppose it…. Instead they should hold a rally for fees regulation in each and every seat of every medical institute in the country…. What is IMA ? This Association getting mad. IMA IS RUNAMOK, CORRUPT, PATHETIC GROUP OF SENILE INDIVIDUALS.